From Astronaut Status to platinum status. According to the RIAA Dirty Sprite 2 passed that coveted one million sold sales mark on May 27. This is Future's first solo platinum album, as he was previously awarded one with Drake for the pair's What A Time To Be Alive. 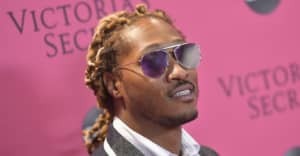 It's a bit of pleasant news for Future as the cancellation of his headlining set at this year's Hot 97 Summer Jam left the superstar very bummed. "We couldn't be more disappointed" Future's manager Anthony Saleh said in a post-cancellation statement. Reread How Future Got Better.